As of late, I’ve received quite a few advanced review copies (they’re hot right now, for Christmas, I assume). Coincidentally, several of them have been, well, creepy. Now, as you may have concluded, based on my “Halloween Town” series, I enjoy creepy things. I ADORE creepy books, even more so at night. 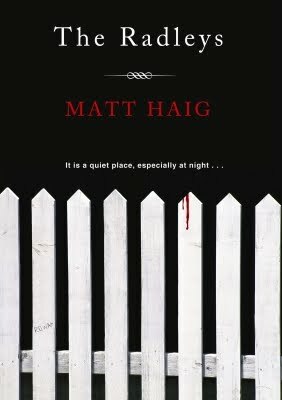 We’ve all had one before: a book that made you hesitate before turning off the light, as your mind wondered, “Do you really want to do that?” And as soon as you descended into your nighttime blackness, your mind created imaginative hallucinations, and you swore there was someone standing by your bed. Instead of opening your eyes, you hid beneath your blankets, hoping and praying that it would go away. 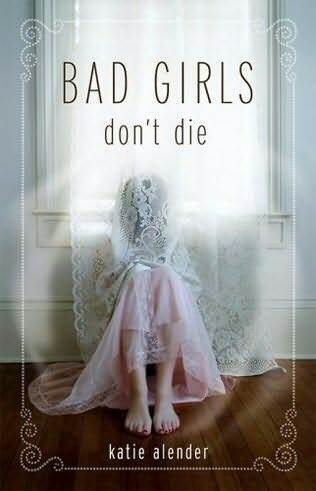 Bad Girls Don’t Die, by Katie Alender. This book is technically categorized as young adult, but I think it’s fitting for adults, as well. The basic premise focuses on Alexis: a high school gal with pink hair—one of the outcasts, who doesn’t have any friends and who considers the cheerleaders her mortal enemies. Alexis’s family has moved into a eerie, old house, and soon, her little sister, Kasey, starts actin’ kinda funny. Alexis begins to realize there’s something not quite right about their old house—or her little sister—and it’s all about ghosts. This book is a prime example of the “Do you really want to turn off that light?” syndrome. 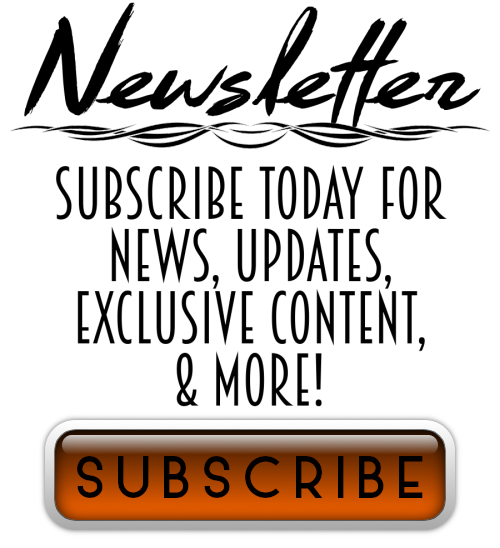 Jake laughs at me, but hey, I have an overactive imagination, and one night, after reading a particularly spooky segment, I swore I could feel a ghost chick hovering over me in the dark … And I don’t even believe in ghosts. I give this one a total thumbs-up, for its creepiness, character development, and yeah, even a touch of high school romance. It only took me three nights to finish it, so pick it up, just for fun, and prepare to be totally creeped out. 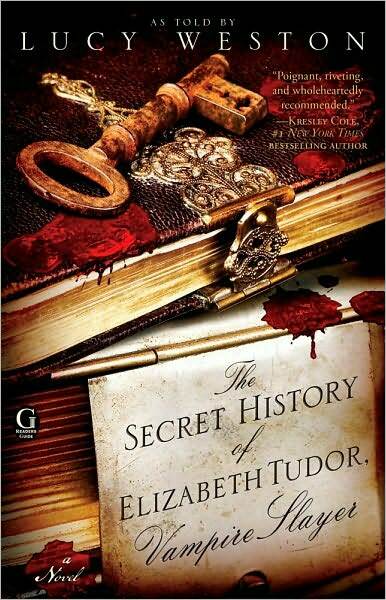 The Secret History of Elizabeth Tudor, Vampire Slayer, “as told by” Lucy Weston. The premise of this is interesting, especially from an historical standpoint. The book theorizes that Queen Elizabeth was actually a vampire slayer. How fun is that? Even more fun is that the author, Lucy Weston, is also supposedly a vampire. She has created an entire persona online as this “Lucy Weston” person, and it’s an excellent (and creative) marketing technique. Bravo, Simon & Schuster, bravo! That said this one isn’t as interesting as I had hoped. The writing is sub-par. It has its moments, but it’s pretty basic stuff. The conflict is quite interesting, and Elizabeth is pretty cool. Be prepared for a disappointing ending, though, as Weston sets up for a sequel. Everyone’s doing it nowadays, and I’m tired of it. Again, this was a quick read. So if you dig the whole historical vampire scene, pick up a copy. Just be ready—you’re gonna have to buy part 2 eventually, as well. The Radleys, by Matt Haig. Ah, the cleverness of Mr. Haig! The Radleys tackles a similar subject as a couple of its modern contemporaries: that of vampires who do not drink human blood—vampires who are trying to fit in with society. This one is a bit different, though, because the Radley family is fully immersed in modern society and fully immersed in their delusions that their ploy could actually stick. What I found most interesting was the children; the Radley parents have hidden their vamp identities from their kids, which makes the kids wonder why they get sick when they go out in the sun, why they can’t be vegetarians, etc, etc. And the writing is excellent. Example: “His lower intestines spilled out of him, like escaping eels.” Ooo … that’s pretty. This is the most characters-focused of the three books, as the reader is left to wonder, when the daughter accidentally kills someone, what will the Radleys do? Not only do you wonder, but you want to know, because the characters are excellent. Dad Radley is dealing with his own American Beauty-esque questions of how did I end up here? Mama Radley is desperately trying to appear normal, but she … just … can’t. Son Radley is creepy, but you root for him, despite his goth persona. Daughter Radley is kind of evil and blood-thirsty, but hey, she’s a vampire right? This is just a clever, clever book, written by a British dude who really knows how to write. Gorgeous … and gory. So what have you been reading lately, hmm? Next Post Where is Christmas?